“Alpine Power Links”, this year’s regional conference of the European Network of Transmission System Operators for Electricity (ENTSO-E) on 18 April 2018 in Basel, was dedicated to the Alpine region and its importance for the European integrated power system. 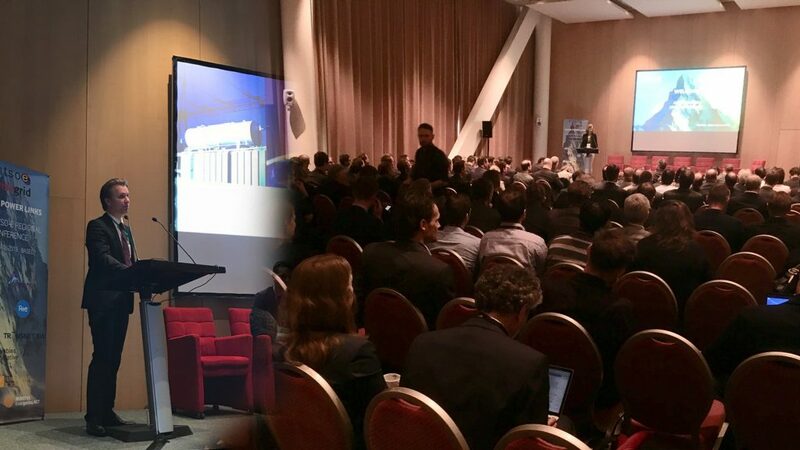 TSCNET shareholder ELES, the Slovenian transmission system operator (TSO), took the opportunity to present its activities in three different innovative energy and smart grid key projects at European level. In addition to ELES, three further shareholders of TSCNET participated in the event: APG from Austria, Swissgrid from Switzerland, and two of the four German TSOs, Amprion and TransnetBW. 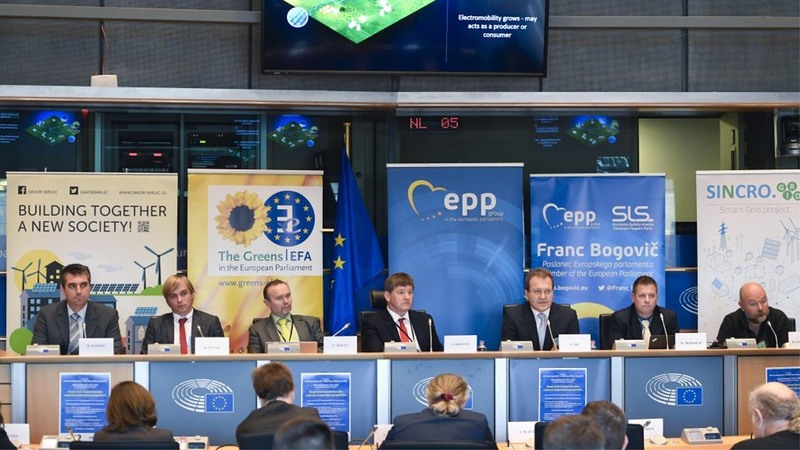 Uroš Salobir, M.Sc., General Coordinator for System Development at ELES, emphasised the significance of the ELES projects in view of a European carbon-free future. The respective projects are: FutureFlow on innovative solutions for cross-border balancing and redispatching, the ELES coordinated smart grid cooperation SINCRO.GRID, which deploys, among other things, compensating devices and innovative data processing methods, and OSMOSE on improving transnational interoperability and the interaction of TSOs and distribution system operators in order to increase the techno-economic potential of flexibility solutions. In order to eludicate its significance and its responsibility for the smart development of the energy sector in view of Slovenia’s Energy Concept (SEC), TSC member ELES, the Slovenian transmission system operator (TSO), hosted a stakeholder event on smart grid concepts and their importance for the future power transmission system. The event was attended by high-profile representatives from energy related industries, associations, and institutions. The renowned Croatian-Slovenian smart grid project SINCRO.GRID, a European Project of Common Interest (PCI), naturally played an important part in the course of the event. 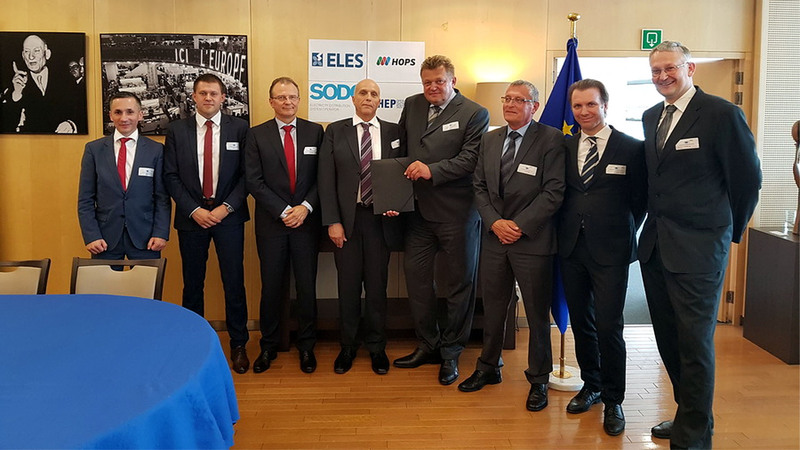 But ELES is also involved in further smart grid activities, such as the central-south European FutureFlow project on cross-border balancing and redispatching. The CEO of ELES, mag. Aleksander Mervar, emphasised in a round table discussion the challenges, but also the risks of smart grid concepts – since the technological developement ist still in progress and intense. Mr Mervar sees ELES at a technological breaking point and expects the necessary smart solutions to be functionable round 2030. 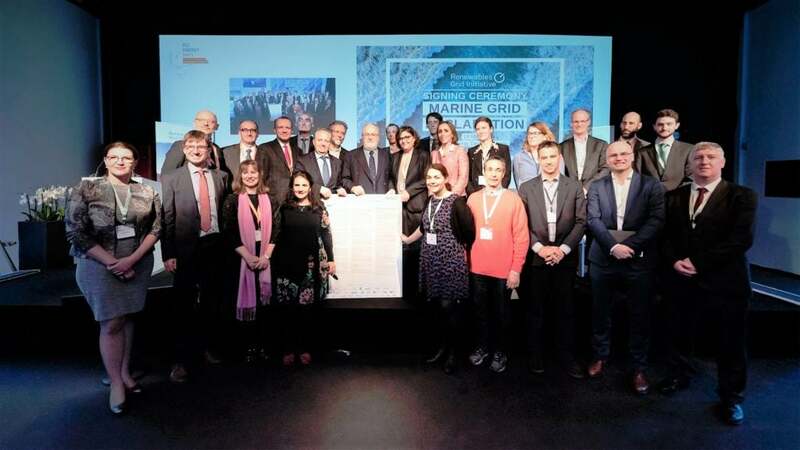 In February 2017, the Croatian-Slovenian smart grid project SINCRO.GRID was awarded €40.5m of EU fundings within the frame of the “Connecting Europe Facility” (CEF) programme. The four-party consortium of SINCRO.GRID consists of the two TSC members ELES, the Slovenian transmission system operator (TSO), and HOPS from Croatia, and two distribution system operators from both countries. Mag. 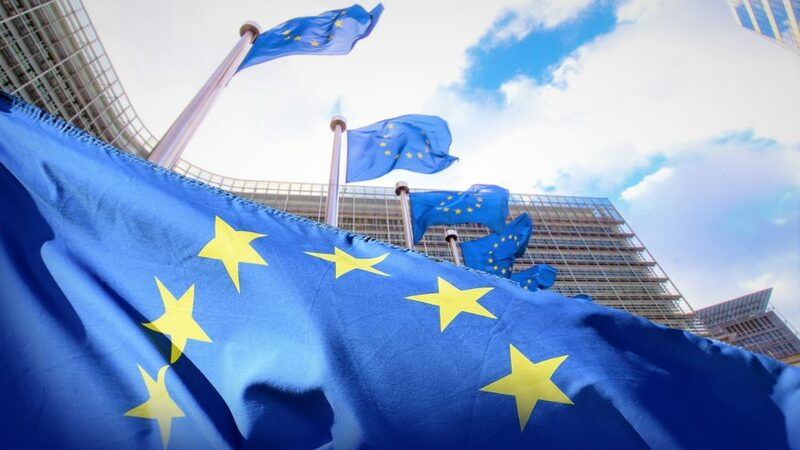 Aleksander Mervar, director of project coordinator ELES, and Dirk Beckers, director of the European Innovation and Networks Executive Agency (INEA), now have signed a contract on the allocation of the corresponding subsidies in Brussels, Belgium. SINCRO.GRID is a model case of good cross-border cooperation. 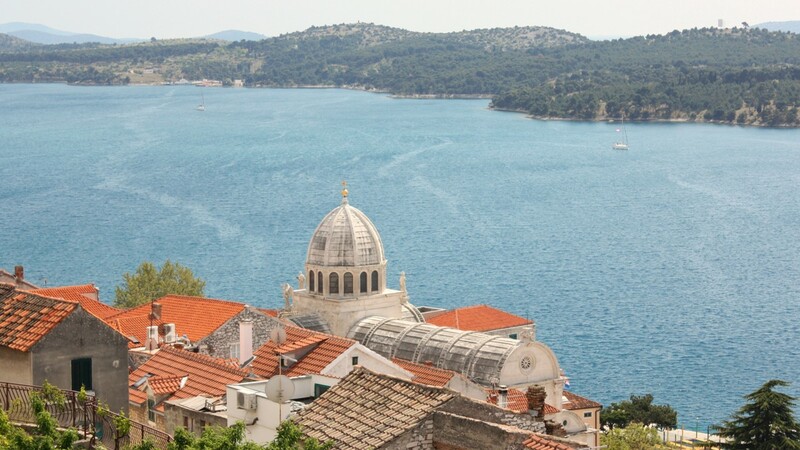 Its purpose is to optimise the efficiency of the power transmission grid in both Croatia and Slovenia involving new advanced technologies and integrated advanced data processing methods. Due to significant electricity transit flows in the control areas of ELES and HOPS, the Project of Common Interest (PCI) is of high value for the pan-European energy market. Zdeslav Čerina, Member of the HOPS Management Board, feels confident that SINCRO.GRID will ensure “more efficient integration of renewable energy sources into the power system and increase the supply security”. The growing share of the renewables in the European energy system substantially affects the corporate tasks of transmission system operators (TSOs) and is calling for innovative solutions. 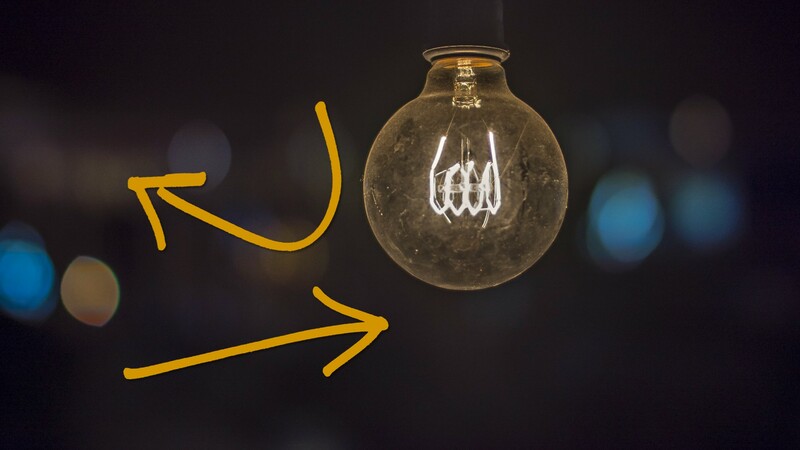 Hence, grid operation, grid investments and grid assets management is no longer conceivable without sustained commitment to all questions concerning strategic innovation. Over the last years, TSC members ELES, the Slovenian TSO, has proven to be a leading European player in terms of strategic innovation. ELES participates with great dedication in innovative energy and smart grid key projects on a European Community level such as NEDO, SINCRO.GRID, FutureFlow, SUMO and MIGRATE. To enforce and to bundle the company’s engagement in strategic innovation, mag. Aleksander Mervar, Director of ELES, has introduced a particularly designed Strategic Innovation Sector. The appointed Director of this challenging new company division is Mag. Uroš Salobir.